Originally designed for Good Hotel, the clean minimalistic inspiration cabinet became an instant favorite of the hotel’s guests. The new design cherishes the initial concept, but offers superior quality in materials and finishes. KABINET is both extremely multi-functional and a stylish eye-catcher, creating small exhibition spaces to carefully display your personal treasures. Part of Blooey's Create Beauty Do Good collection. KABINET / The minimalistic KABINET in oak. Light Plywood / The contemporary Light Plywood edition is treated with a light white wash to protect the wood from UV light. Making-of / Assembly and configuration video in the Van Vliet workshop. Wood / The wooden components are available in contemporary Finnish plywood or distinguished natural oak. 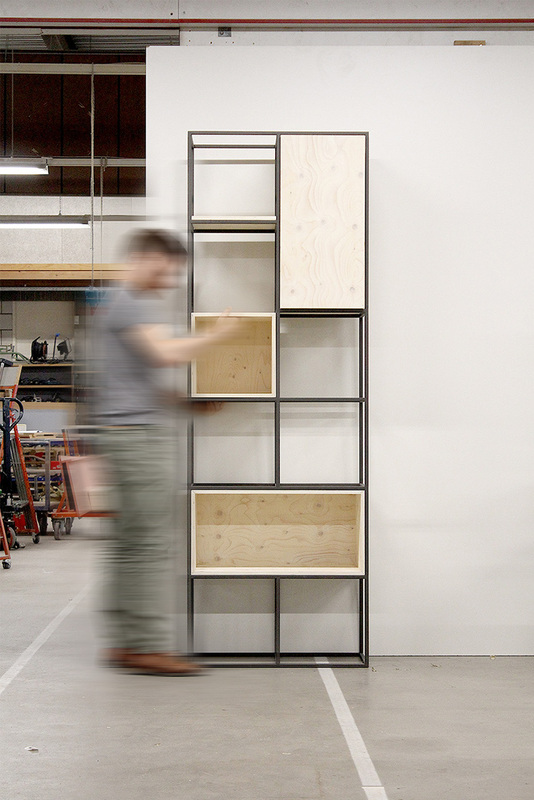 Configure / KABINET can be (re)configured to your own preferences without the need for screws. 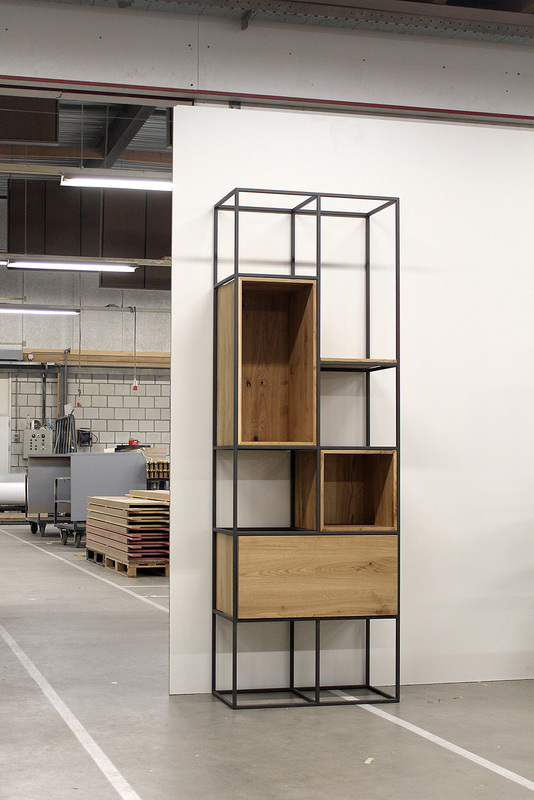 Natural Oak / The frame is completely hand-finished by Dutch craftsmen and powder coated in a textured warm anthracite. Details / Every wood component is stamped and each KABINET has its production number lasered on a leather tab. 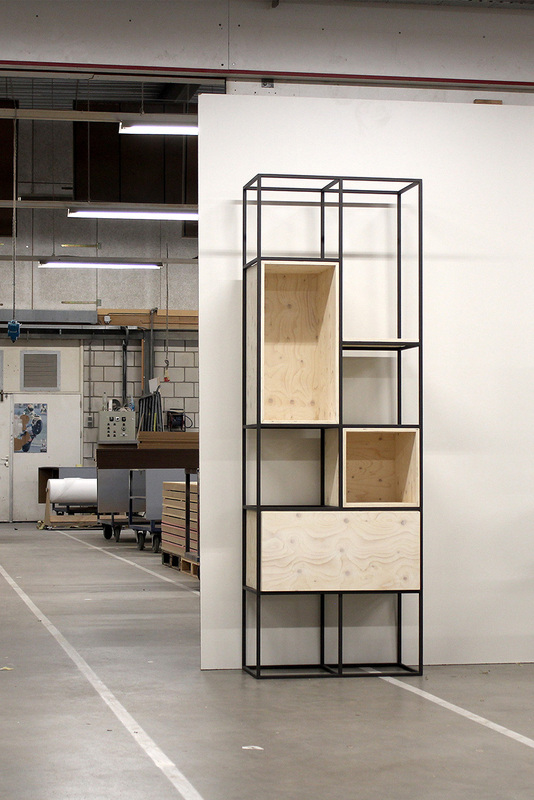 KABINET XL / Extended version made for the living room of Good Hotel London. Custom designs or finishes are available on request.